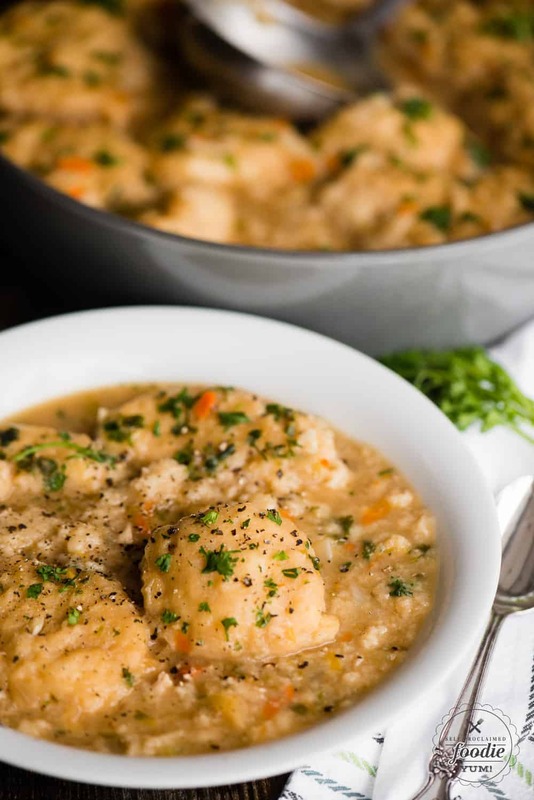 Homemade Chicken and Dumplings, with tender chicken, vegetables, and scratch made drop dumplings, is the kind of comfort food we crave. 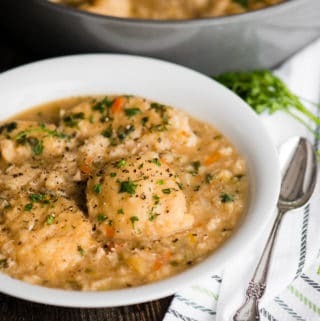 This meal has the same great taste as a homemade chicken soup, but the fluffy dumplings make it a filling and savory meal. Chicken and Dumplings is an old fashioned favorite recipe. Pin it to your SOUP BOARD to SAVE it for later! Chicken and dumplings is one of those feel good comfort food meals. What do you crave when you’re sick or it’s cold outside? Chicken soup! 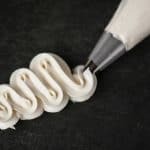 What do you crave when you want some delicious carbs? Soft biscuits, of course! How about when any of those apply? That’s when homemade chicken and dumplings comes in. It’s like the best of both worlds! How do you make chicken and dumplings? There are so many ways to make chicken and dumplings. 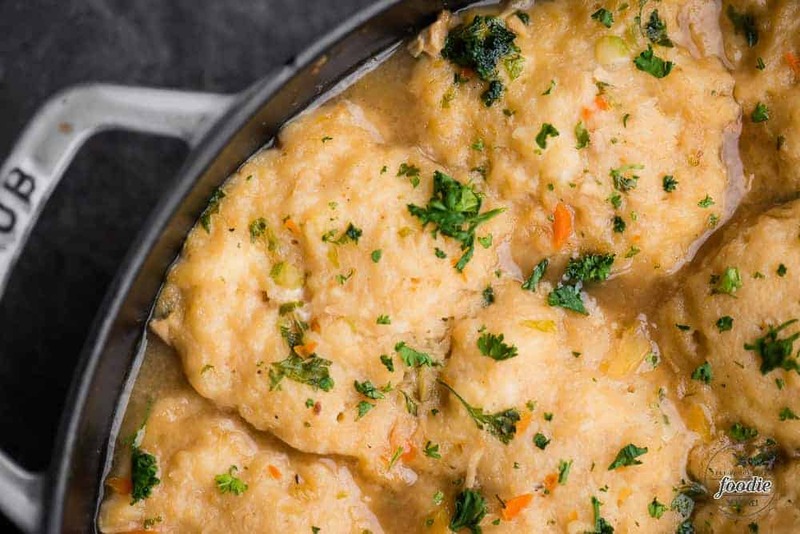 If you’re looking for super easy chicken and dumplings, you can take a lot of shortcuts by simply cooking some pre-made biscuit dough from a tube in some simmering chicken broth from a can. I, however, chose to make chicken and dumplings from scratch. There’s only so many recipes that use canned biscuits that I can handle in a given time period! As you’ll see in the recipe below, I start by making a soup. All good soups start with onion, carrot, and celery. My chicken and dumplings are no different. Next comes the broth. 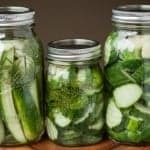 You can certainly use broth from a can or a box, but if you’re lucky enough to have some homemade chicken broth on hand, it will make your recipe a thousand times better. Same thing for the chicken. You can certainly buy pre-cooked chicken or use shredded meat from a rotisserie chicken that you picked up from the store. I highly recommend, however, cooking a whole chicken using your Instant Pot and then using that shredded meat to make recipes like this along with chicken salad, enchiladas, etc. It is well worth the effort! Finally comes the dumplings. They really only take a few minutes to put together. My dumplings call for a couple of eggs and they help give them a nice chew. 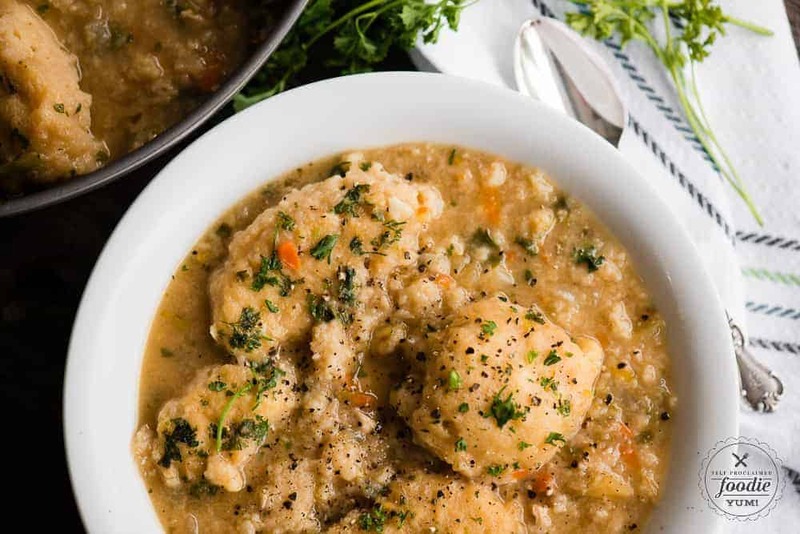 Simply drop the dumplings in the simmering soup and 15-20 minutes later you have old fashioned homemade chicken and dumplings! 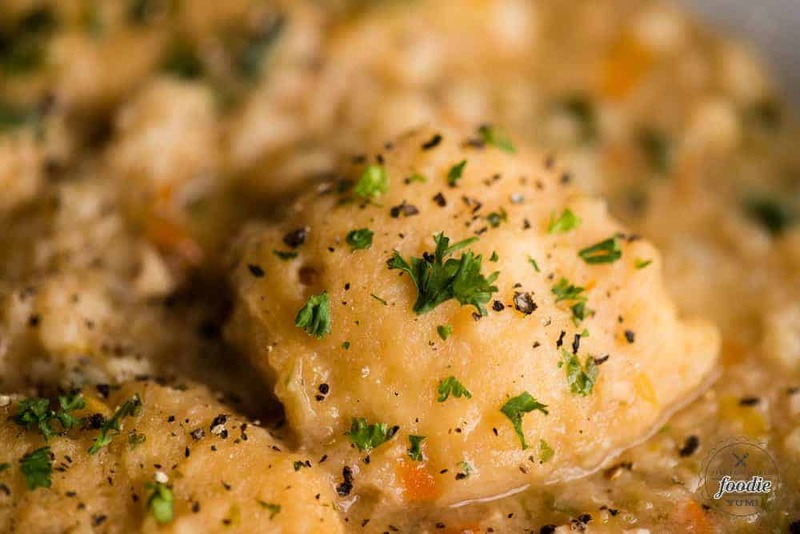 Can you freeze homemade chicken and dumplings? You bet. Most soups freeze exceptionally well, and this recipe is no different. I prefer to chill my soups in the refrigerator before transferring to an air tight container to freeze. I used to use gallon sized freezer bags, but I went ahead and bought quart sized reusable containers for my soup. Not only do they store the perfect sized portions, but they’re easy to stack in my deep freezer. How long can you keep chicken and dumplings in the fridge? Just like any other recipe with cooked meat, I would advise eating the chicken and dumplings within the first 3-4 days. Will it last longer than that? Probably. I always recommend the old sniff test. If you have to go back to smell once or twice because what you’re smelling is questionable… you probably shouldn’t eat it. How long does it take for dumplings to cook in a slow cooker? I hate to admit it, but I’m not a huge fan of cooking in the crockpot. 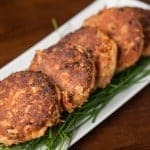 I have a handful of slow cooker recipes on my site, but it’s mostly because I know it is super convenient to prepare dinner in the morning and then come home to a home cooked meal. I prefer to do almost all of my cooking on the stove top, my oven, or in my electric pressure cooker. 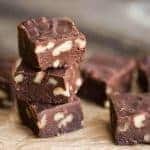 But, if you want to make my recipe in the slow cooker, I’ll tell you how. I still recommend cooking the onions, carrots, and celery on the stove first. That initial cooking process yields a lot of flavor. If you want to start with raw chicken, I would brown it with the vegetables. You can add the cooked veggies and the chicken broth to your slow cooker and let it simmer on low all day. If you started with raw chicken, you would add it as well. If you plan on using already cooked chicken, I would wait. About 30 minutes before you’re ready to eat, crank the heat up to high and drop your dumpling dough in the hot broth. Homemade Chicken and Dumplings, with tender chicken, vegetables, and scratch made drop dumplings, is the kind of comfort food we crave. This meal has the same great taste as a homemade chicken soup, but the fluffy dumplings make it a filling and savory meal. Chicken and Dumplings is an old fashioned favorite recipe. In a large stockpot or dutch oven, melt the butter over medium high heat. Add the onion, carrot, and celery. Give it an occasional stir, but cook until slightly brown, 5-10 minutes. Add the garlic, stir, and cook another minute or two. Add the parsley, broth, and chicken. Stir to combine and bring to a simmer. Meanwhile, combine dumpling ingredients in a separate bowl. When broth begins to boil, reduce heat to keep it at a simmer, then drop dumpling batter into the broth by the spoonful. Once all of the dumpling batter has been added, cover the pot and simmer for 15-20 minutes. Does the dumpling recipe include the 1 cup of chicken broth, as the recipe is not separated? Hi Janie, Yes – the soup uses the 7 cups chicken broth and the dumplings use the 1 cup chicken broth. I listed them separately on the recipe. I wanted it to total 8 cups total to make it easy if you’re using quart sized containers!